There was lots of confusion about the time of the gig, but it's settled. 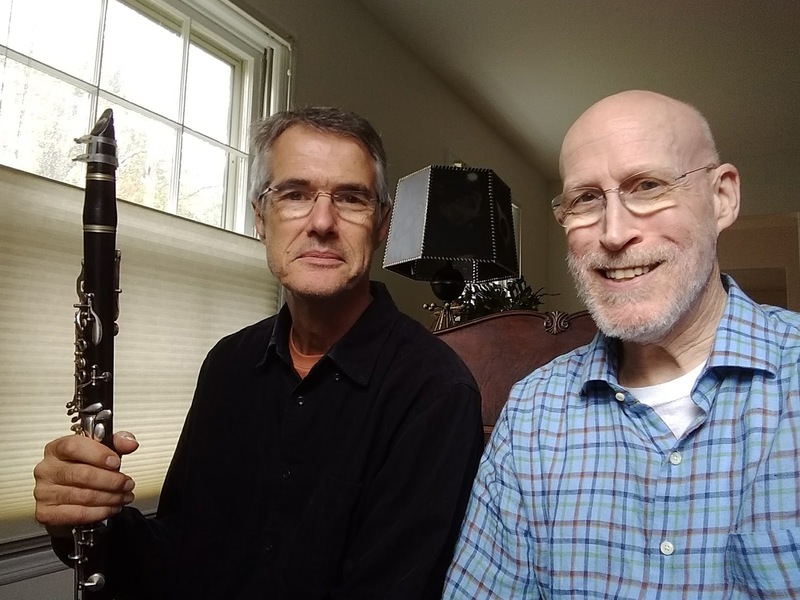 We'll be playing for an hour from 2-3pm, Sunday, June 17, either on Hinds Plaza or in the Community Room at the Princeton Public Library. 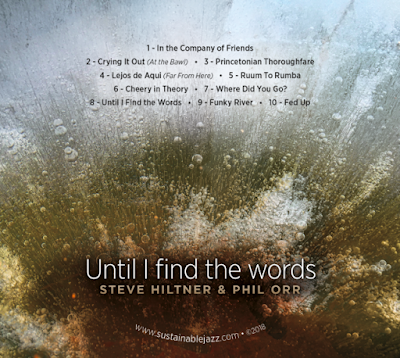 Phil Orr and I will play selections from our upcoming CD. Sax, clarinet, and keyboard. Come join us, and tell your friends. Sustainable Jazz takes to the street this coming Sunday, April 29, for a performance at the Arts Council of Princeton's Communiversity. As in previous years, we'll be on Witherspoon Street next to the public library. 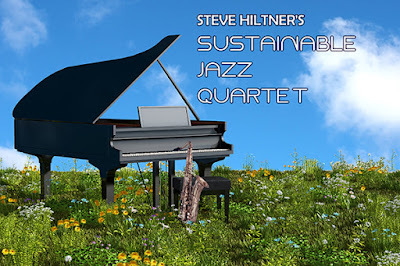 Stop by the Hopewell Valley Bistro to hear the Sustainable Jazz trio perform our original jazz on April 12 and 19. Hopewell pianist Phil Orr has been hosting a Thursday night Jazz On Broad series at the Bistro that's been drawing crowds and filling a major gap in local jazz. Music's from 6-9 with food and drink served throughout. Phil on piano, Colt Morris on bass, and myself on sax/clarinet and compositions. Scroll down for some sample videos. The series of late has included some jazz greats like Houston Person and Warren Vache. A beautiful, deserted train station resonates with the sound of a clarinet. I sent this as a birthday present to Lori Prentice, whom I haven't seen in more than thirty years. Now in her 90s, Lori was a supportive audience to some of the first original melodies I played on the clarinet, in the early 1970s on the steps of Camp Innisfree's lodge in northern Michigan. Camp Innisfree was a charmed place, fed by fresh breezes off Lake Michigan, and bounded on other sides by forests and fields. The massive sand dune at Pyramid Point was just a short hike through the woods. By chance, I happened into a job as a counselor to highschoolers who would arrive in June. For six weeks away from their parents, they'd learn that with freedom comes responsibility. It's hard to imagine a more important lesson in life, or for any citizen of a democracy. Lake Michigan, with Sleeping Bear Sand Dunes just down the coast, stretched westward to the horizon, with glorious sunsets that were symphonic in scope and endless in variety. In case I hadn't learned elsewhere, that place taught me that nature is the greatest artist of them all, working magic with wind, water, sand and leaf. Often at night, I'd sit with my clarinet on the steps of the lodge overlooking a broad field, and send notes out into the darkness, then listen for them to come back as echoes from a nearby hill, as if nature itself were sending back affirmation. Lori took to walking out on the grounds while I played, unseen, and like the hill would quietly offer encouragement when she saw me the next day. As counselors, our job description was to "be yourself". The camp director, Gus Leinbach, would sign his communications with "Peace, love, joy". These are words that take a lifetime to understand. No one had ever asked me to be myself before. Not really knowing how, or having long forgotten, I taught sailing and organic gardening. A friend called me Farmer Fork, presiding over a vegetable garden in my bluejeans and t-shirt. We'd make runs with a pickup truck to pick up horse manure at a nearby farm. The squash grew a foot a day. Kids told me I was a good listener. One camper put a complimentary spin on my quiet ways, telling me that "Still waters run deep." There were chess games in the lodge, and picture puzzles to puzzle over on rainy days. Ben Sorber, an educator from the Netherlands, would get us dancing to folk songs played on his accordion. But the deepest medicine and the most profound education came from the land itself, and the play of nature and the elements upon it. A couple campers decided to make a movie and enlist other campers in the cast. They liked a melody I had come up with and used it in the movie. I thought it was my own, but later discovered it was John Coltrane's Equinox, which I'd heard on a record my brother had given me a year or two prior. The tune had worked its way down into me, then come back up as if it were my own. Years later, my unconscious learned how to digest heard music and reconfigure it in more original ways. Three years I was a counselor there. The first two years, the kids used the freedom to explore their interests and creativity, and become fast friends with each other and with staff. The third year, the last for what was called the Innisfree Project, had a much different, disconcerting feel. The campers seemed uninterested in exploration. They wanted to party, and expected the staff not to mentor but to serve. That would have been 1975, and foretold for me the coming political shift in the country, as the 1960s faded and the 1980s stirred. The camp had been a window into a world that might value what I have to give, and one camper that last year proved to be the window into the next cradle for my creativity. Sometimes I would jam with drummer John Hildebrandt in one of the camp cabins, and when the camp was over, he invited me to stop by rehearsals of the II-V-I Orchestra in Ann Arbor, my first step into the jazz scene.